Fits inside most notebook bags and backpacks. No more overheated legs or overheated laptop! Uses passive air circulation to protect your lap from heat. Ergonomically designed and cushioned for comfort. Non-slip woven surface adds protection when transporting. 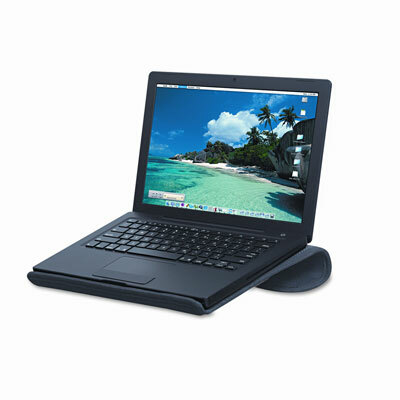 Slim design allows it to fit inside most notebook bags and backpacks.